Our libraries offer a range of materials that you can access free of charge including books, newspapers and magazines, DVD’s and audio books as well as ebooks. Also available are free programs and resources ranging from early childhood, community interest, education, literacy, and recreational programs that cover a multitude of interests and topics suitable for everyone. You can use our computers to access the internet and Microsoft Office, plus printing and scanning facilities are available for use at most of our locations. Free wifi is available at all of our branches. We also offer free computer classes ranging from learning the basics through to more specialised topics that are designed to build and expand your skills. For our younger members some of the branches offer story time plus after school and holiday activities. We also provide a variety of resources designed to help with homework and assignments. More information on these activities and programs can be found on our events calendar. We provide free 24/7 access to our eResources including eBooks, , eMagazines , and other online resources. Access to these resources is via an internet connection. For more information on our programs, services and activities contact your local library. 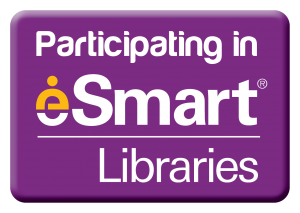 To become a library member, all you require is identification showing your residential address. You can join the library at any of our branch locations. There is no minimum age for joining, but those under the age of 18 years require a signature from their parent or guardian. 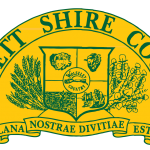 If you are a visitor to the Shire you can become a temporary members of the Library, however you will have a reduced borrowing capacity. Our friendly library staff will assist you with your application and issue you with your membership card, the entire process takes only a few minutes and you can enjoy all the benefits the library provides immediately. An online or full membership provides access to our electronic resources such as eBooks and eMagazines, online databases, encyclopedias, information finders, children’s electronic resources and more. Online memberships are free and you can join by clicking here. You can borrow up to 30 items at one time. Some collections have a maximum number of items per member. See below. We will contact you to remind you that your items are overdue via mail, email or SMS. However, the responsibility is always on you to return the items on time and in good condition. You can renew your loans online by logging into your account or over the phone. If you fail to return the items on or before the due date, you may accrue overdue fines as set out in Council’s Fees and Charges Schedule. Items not returned will be considered lost and an account will be sent and your borrowing privileges suspended until the matter is satisfactorily sorted.